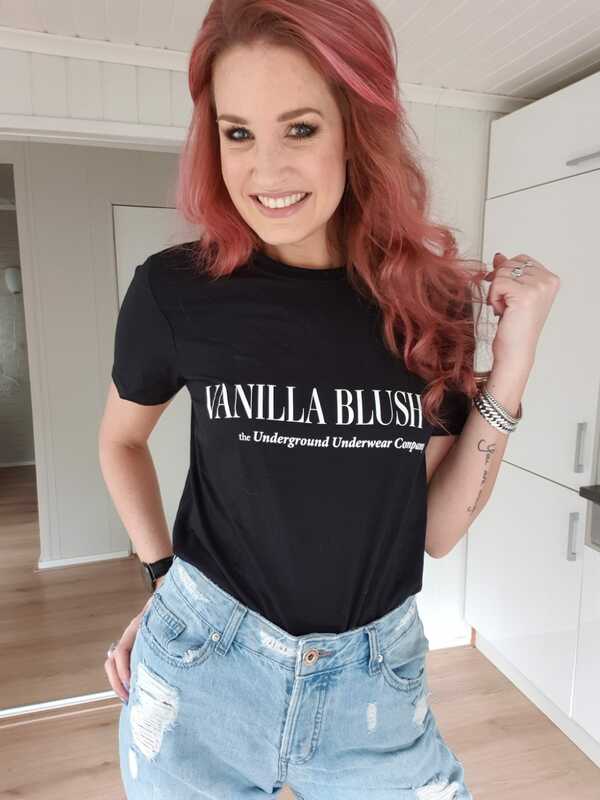 We are so excited to bring you our fabulous new Vanilla Blush T-Shirt. Not only is it super stylish with the contrasting white Logo against the black it is 100% Cotton which will keep your sweating to a minimum. It is perfect to pair up with our loungewear or for underneath our brand new Hoodie. Our model does a fabulous job of styling it in different ways.